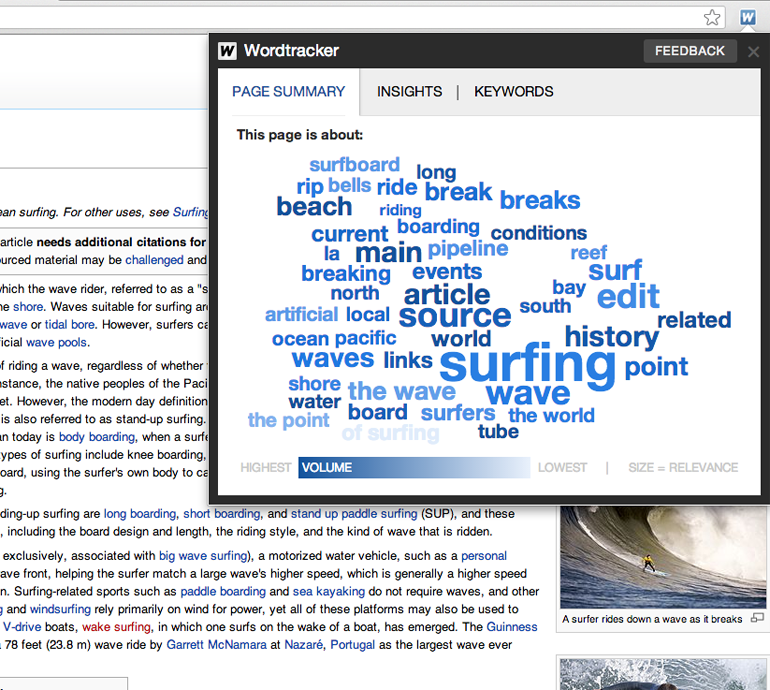 Keyword ideas from any webpage at the click of a button. Plug into Chrome and you’re good to go. 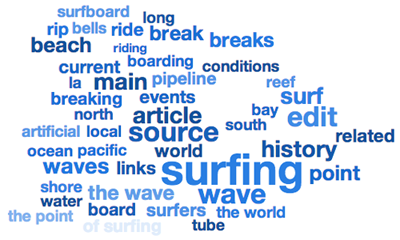 Keyword ideas from any webpage. Scout is a simple extension tool for your Chrome browser that turns the web into a huge keyword generator. Choose a successful webpage that’s attractive to your target audience and uncover the true keywords of your market with a click of the mouse. Now you know the true language of your audience, you can pick the high-performing keywords to attract targeted, profitable traffic to your site. Analyze the sites that attract your target audience, and get keyword ideas for your own marketing strategy. 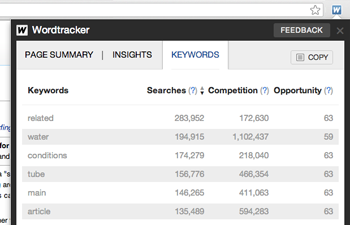 Scout gives you access to Big Data, and by that we mean Big Keyword Data. Our huge database is made up of literally billions of real searches by real people. By matching up data on the webpage you are interested in, and the Big Data in our database, Scout can help you find opportunity rich keywords and figure out how much real competition there is for a particular keyword. 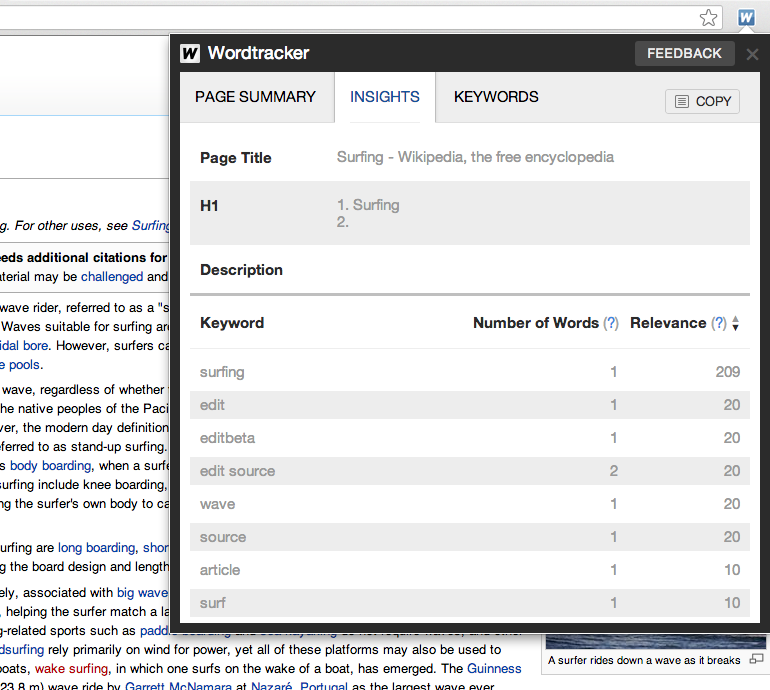 Scout gives you access to keywords from any page at the click of a button. No hoops to jump through, no long and complicated reports to try and somehow figure out. At one click of your mouse, you can pull up the keywords that successfully attract traffic to any site you choose. With Scout, you can select a successful website in your industry and quickly understand how the site work its magic. In seconds, Scout gives you the keywords you need to attract more visitors and take your sales to the next level. Scout is nice and simple to use. No wasted time from manual sorting, no wasted time trying to figure out where the report information is hiding. With Scout’s simple interface, you can save time, and quickly focus on finding and using the priority keywords that boost your pages’ rankings and bring you conversions. Want to know how your competitor websites succeed? Scout quickly uncovers the keywords used to successfully attract website visitors in any market you need to analyze. Scout figures out the most effective keywords for you to use. When you use the true keywords of your market, you can attract more targeted traffic. These are the visitors who bring higher sales. You can spend hours and hours on your SEO, but unless you do your keyword research first, you could waste your precious time. Scout gives you quick and easy access to keywords from any webpage, in any market you choose, and so saves hours on research time. 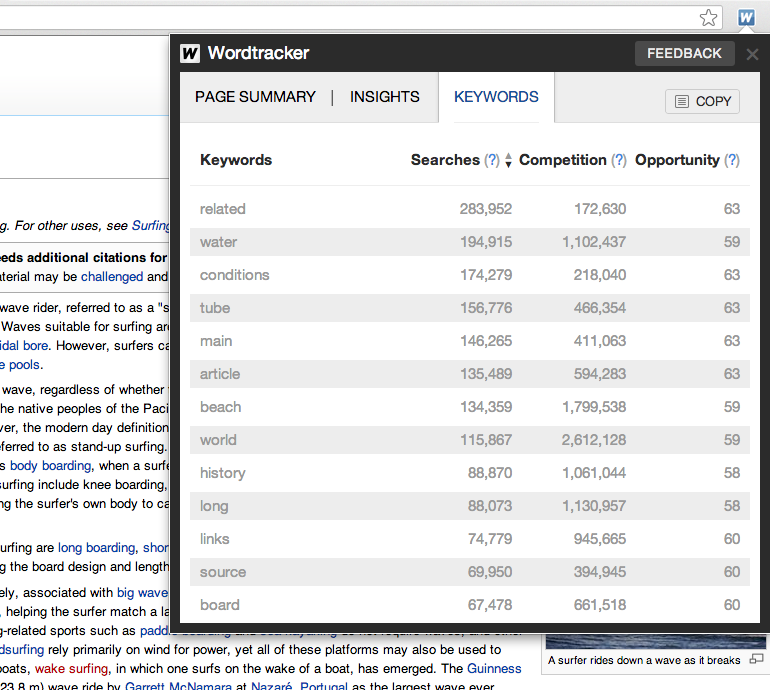 Scout identifies the keywords that bring targeted traffic to a page. Targeted traffic means higher conversions, and that’s the way to increase your sales. Scout saves you time and money.